STEM activities are continuing at pace. 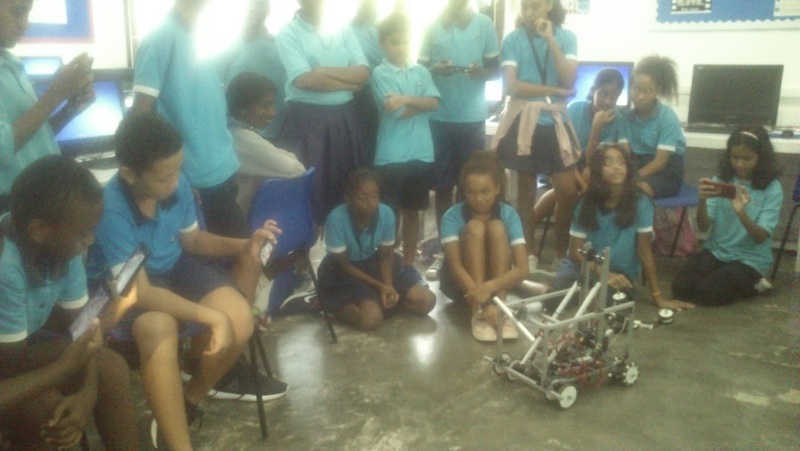 Here, yr7 students enjoy a demonstration of the 2018 FIRST global challenge team Seychelles robot. Some students had chance to take control of the robot. 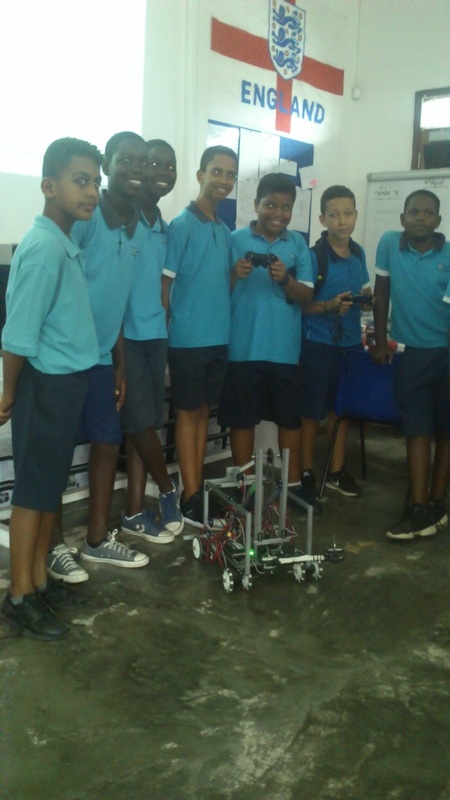 The robot was brought into school by Joseph Raj from the National Institute of Science Technology and Innovation. 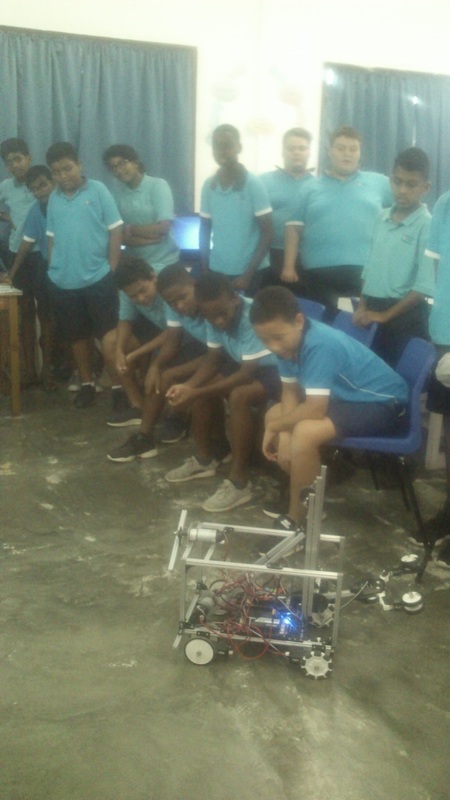 The yr7 students were surprised to learn that robots are already being used here in the Seychelles. Mr Scales, computer science teacher, added he thought it will be a long time before robots replace teachers in the classroom.